Abeille Ruche School is situated in Monte Vista, Cape Town, offering academic and cultural excellence to our talented learners – who excel in closely controlled class sizes under the guidance and individual attention of experienced, qualified and dedicated teachers. 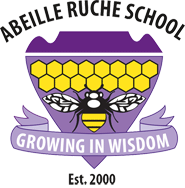 Abeille Ruche School started as a home school in 2000, and following the proven success of our approach to education, has grown to offer classes from Grades 1 to 9. We have also introduced a Grade 10 – 12 option at our school, following the GED curriculum. Each child is of utmost importance – we are not about the business of education but rather about the children themselves. Restricted pupil numbers ensures that our classes remain at a maximum of 14 per class and ensures that our pupils are not “lost” in the classroom but given individual attention, are stimulated and eager to learn.